In the 1930s it was Coleman Hawkins. In the 40s, Lester Young. Sonny Rollins was the colossus of the 50’s, while the influence of John Coltrane, the heavyweight champion of the 1960s, was a bright light that burns to this day. The most recent heavyweight champion of the tenor saxophone might be David Murray, and lucky you, you’ll have a chance to hear him at an essential concert at Artlore Gallery June 5. Lucky, because Murray, one of the most widely recorded players of the last 40 years, has only recently returned to America after many years in Europe. While he was gone, it was easy to forget about him–that is, until you examine the incredible recorded legacy he compiled since coming to New York from Oakland in the mid-1970s. But once heard, Murray’s tone. hot and thick, was impossible to forget. So was his hortatory, sometimes ecstatic style. He hit the scene like a thunderclap, a combination of the deep-chested tenor saxophone sound of prewar masters such as Coleman Hawkins and Ben Webster with the almost vocal shouts and cries of Albert Ayler, an exploratory player of the 1960s who shared Murray’s deep roots in the church. Writing in the New York Times in February, Gio Russonello said, “His thick tone — with a tremulous vibrato and a constant urge to scrape its way higher into the atmosphere — sounds like the synthesis of a broad jazz tradition, and also like no other musician.” He’s a superhero of the most iconic instrument in jazz. At Artlore, he’ll be in the company of Kahil El’Zabar, a percussionist who’s almost as familiar to Erie as he is to Murray. El’Zabar has visited more than a dozen times. mostly with his Ethnic Heritage Ensemble, whose Februrary concerts at the Erie Art Museum were similarly can’t miss affairs. He’s a fitting foil for Murray. With a barrel-shaped hand drum he brings forth sounds that sound like they come from the center of the earth. On trap kit, he’s loose-wristed and quick-witted, summoning waves of cymbal crashes like great storm fronts rolling in from the lake. And he sings in a mellow baritone that is tender, beckoning and meditative all at once. 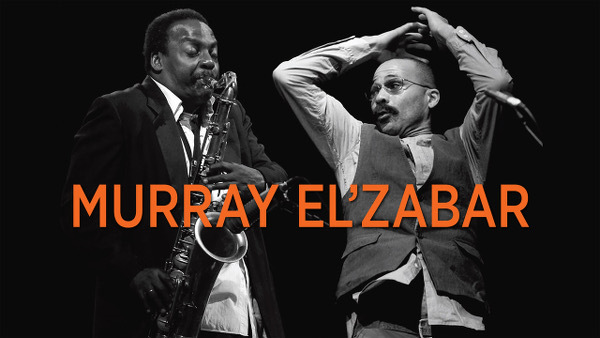 If Murray came from the church, El’Zabar is church. His concerts are deeply transformative experiences. This one should be no different. Actually, this one should be very different. How often do you get to say welcome home to a musical hero?